Thousands of holidaymakers had their travel plans thrown into chaos in the past month or so after the eruption of a volcano in Iceland saw all air traffic in and out of the UK grounded for the first time in living memory. Volcanic ash travel insurance, was at the time, something that nobody (not even specialists like us) had ever thought about. The National Air Traffic Service made the decision to close the skies after a cloud of volcanic ash began drifting across Europe. There were concerns that the corrosive material could cause damage to the engines and bodywork of planes, potentially putting lives at risk. Direct Line travel insurance spokesperson Jennifer Thomas commented: "Customers will need to provide written official evidence to support any claims where it is reasonable to request such evidence. In this case, information from official airline websites is acceptable as evidence." Travellers were also advised to get in touch with their travel insurance adviser to let them know about any new arrangements so they could arrange extended cover. Anyone insured by World First Travel Insurance will have had their policy automatically extended. We hope you haven't been affected too badly by the act of nature, but if you were caught up in it, and were lucky enough to be insured with the travel insurance specialists, then you will be able to benefit from your World First policy. 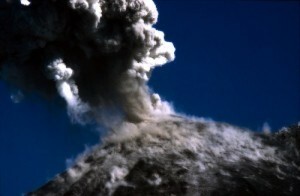 See our updated Volcanic Ash and Travel Insurance advice for more details.